This stunning looking PMP, features a 3.2 inch TFT LCD screen, an FM Tuner, a digital recorder and an e-book. 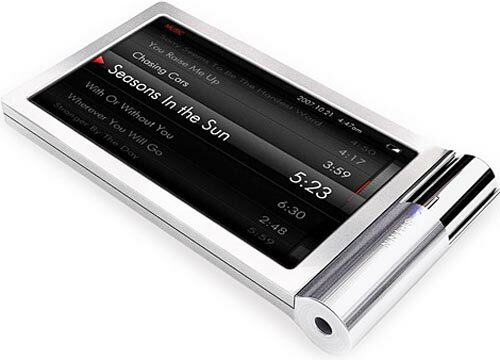 It will play MP4 video, as well as the majority of music formats and it also has Bluetooth and support for Flash. The iRiver SPINN will be available in 4GB, 8GB and 16GB versions, as yet there are no details on how much it will cost, as soon as we get some more information we will let you know.